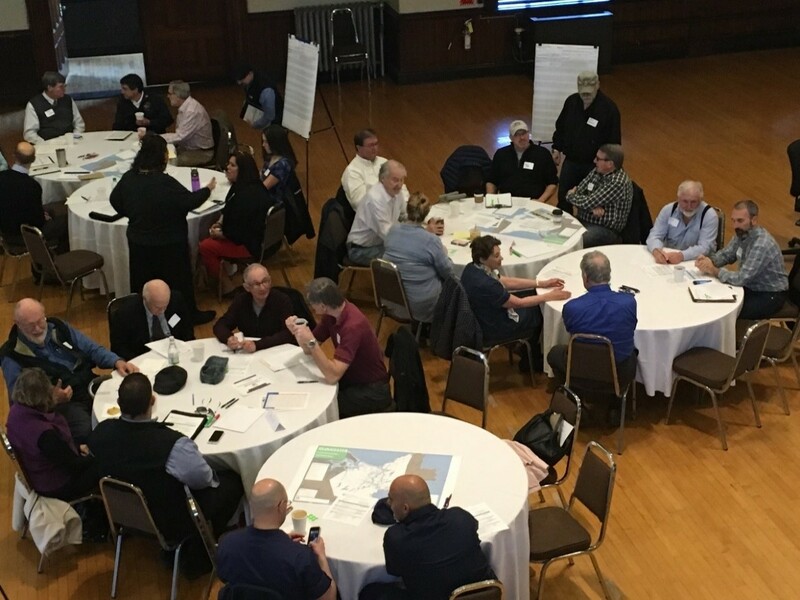 In coordination with the Metropolitan Area Planning Council (MAPC), Gloucester's respective regional planning agency, the City held a Community Resilience Building Workshop on April 12, 2018. Funded through a $20,000 grant obtained from EEA, the Workshop was designed to help the City better understand climate-related hazards and identify opportunities to reduce risk. To support this effort, City officials and volunteers, state regulators, as well as individuals from other local and regional entities were invited to participate. To review the specific findings and recommendations generated from the CRB Workshop, please refer to the Community Resilience Building Summary of Findings Report. Full-size posters from the Workshop can be found here. On June 1, 2018, The Commonwealth announced Gloucester was awarded $107,044 through the MVP Action Grant Program to develop a Watershed and Water Supply Vulnerability, Risk Assessment and Management Strategy. The project is designed to assess the long-term impacts of climate change on the City's water supply and reservoir, including its watersheds, and shall build upon the CRB Workshop and 2015 Climate Change Vulnerability Assessment and Adaptation Plan (CCVAAP) introduced below. Please keep watch for updates as the project progresses. *Important to note that all adaptation and mitigation strategies are presented as concepts; detailed analyses and design would be required prior to any implementation. The final report in also now available below. Maps are available which illustrate predicted flooding resulting from coastal flooding caused by storms (such as hurricanes and nor’easters) combined with sea level rise estimates developed by NOAA for the year stated. These flood maps expressly do not include flooding attributed to wave run-up, overtopping of seawalls, or backups within municipal drainage infrastructure or precipitation. Therefore, the extent and magnitude of flooding depicted on the maps strictly represents predicted coastal flooding from sea level rise and storm surge. These maps shall not be used to represent the extent of flooding for which flood insurance is required. Projections depicted on this flood map are the best judgment of Kleinfelder and the Project Team, but in no way shall the flood levels depicted be interpreted as any guaranteed predictions of future events, and they shall only be used for general planning purposes.